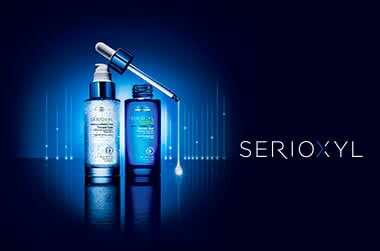 Adore Beauty is an official stockist of Serioxyl. Serioxyl is a complete hair care system to help you achieve thicker, fuller looking hair. *Clinical test with 101 subjects, 3 months, tested vs placebo. The average human head has 100,000 hairs, reveal 1700 more. I've been using this for over a year now and the change in my hair is very noticeable. It doesn't work after one wash so you have to be patient and let your hair get used to it etc. This stuff has literally changed my life and my look! Highly recommend.